The best way to learn a language is to go to the country. Going to classes after work is expensive and a pain in the behind. You can try working without a teacher, but you don’t know if you’re focusing on the right things. It’s hard to motivate yourself because you don’t need it in your everyday life. If you lived in the country, you’d need the language to survive, so you’d pick it up naturally. You’d hear it all day long and those words would finally stick. And you’d meet tons of people to practise with. But when I decided to learn Chinese, I couldn’t use any of these excuses. Moving to China wasn’t an option: I had a great job, friends and family that I didn’t want to leave behind. And, I’d already spent a few months in China, without speaking Chinese. Summer 2013. My boyfriend Matteo and I are sipping Tsingtao beer by Houhai lake, waiting for our food to arrive. Pointing at pictures on the menu, we’d ordered some noodles with fresh vegetables, chillies and one little adjustment – chicken instead of beef. It was only when the waiter brought over two bowls of water with floating chicken pieces that we realised something had gotten seriously lost in translation. In China, I survived by pointing at stuff. I’d get on a bus, shove my Lonely Planet under the driver’s nose and pray he’d take me where I needed to go. During my travels, I met lots of expats who’d been living like this for years. A couple of years later, I still really wanted to learn Mandarin. I decided not to let the fact I was living in London stop me – I already knew that being in China wouldn’t necessarily make learning Mandarin any easier. I also knew that language classes didn’t work for me. I’d tried before: if I wasn’t falling asleep or doodling, I was wondering what to buy for dinner on the way home. So I started learning Mandarin from my living room. Mostly in my pyjamas. I squeezed study time in here and there between work, friends and family. Day by day, almost imperceptibly, I learned a little more and a little more, until I could have conversation in Chinese. Here I’m chatting to my tutor Jane (turn subs on to see what we’re talking about). My Chinese still needs a lot of work, but I’m thrilled that I can now chat to native speakers. And I know if I keep going, it’ll get easier and easier. 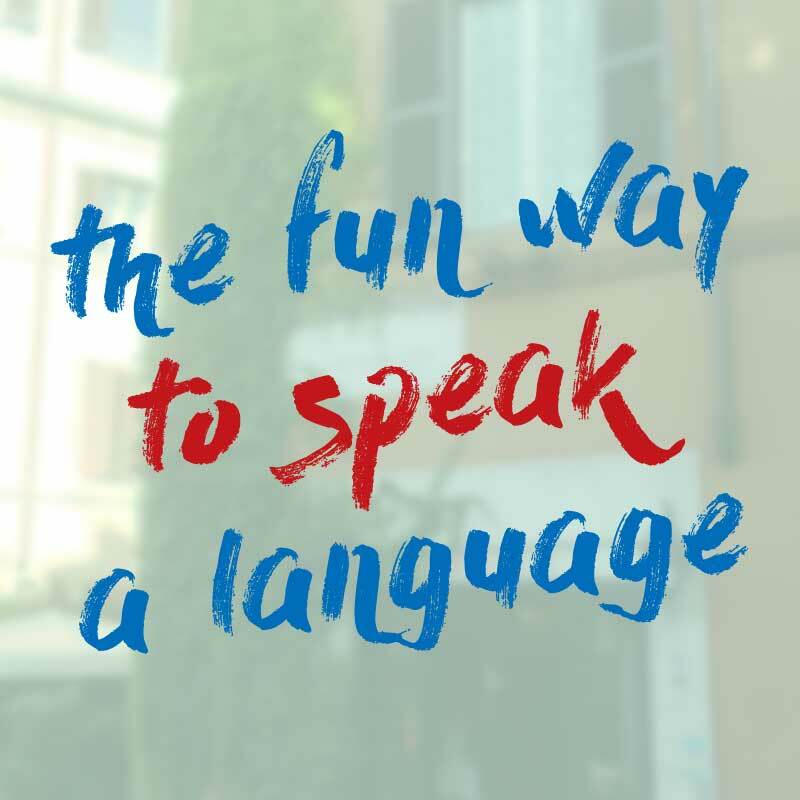 Through trial and error, I’ve learned a lot about what to do (and what not to do) when learning a language at home. Here are 11 steps that really helped me in my quest to learn Mandarin on my sofa. I hope you find them useful! If you want to be able to chat to native speakers, you have to practise chatting to native speakers. This sounds obvious, but most of us don’t do it and it slows us down. We put it off because we feel nervous about speaking and we want to prepare as much as possible before taking the plunge. But in my experience, the stuff you learn from textbooks and audio doesn’t truly stick until you start trying to use it in conversation. There’s the catch 22: you want to learn more stuff before you start speaking, but you can’t learn it properly until you start speaking. My suggestion: start before you feel ready. As soon as you’ve learned some essential phrases, get out there and start practising with native speakers. Especially if you feel like you’re not ready yet. My favourite way to find native speakers is via italki. For $5 – $10, you can book one-on-one conversation lessons with native speakers, known as community tutors. They’re friendly, supportive and used to working with beginners. If you’re really strapped for cash, you can use the language partner page to find a language partner who is learning your language and set up a language exchange on Skype. Practising with native speakers was the important thing I did by a mile: I never would have learned to chat in Mandarin if it wasn’t for my online tutors. If you only do one thing on this list, find yourself some native speakers to practise with. I know it feels scary, but you’ll be so glad you did. This one may sound like a weird sinus problem, but it’s actually a powerful technique to improve language skills at home (or anywhere for that matter). Flood your ears with as much of your target language as possible, wherever you are. Download audio tracks to your smartphone and listen in the car, on the train, while washing the dishes or cleaning the bath. Extensive listening boosts your speaking skills as the more you hear common words, phrases and sentence structures, the more they sink in, and the more naturally they come to you when speaking. Listening to an indecipherable stream of words isn’t helpful: it’s frustrating and you don’t learn much as you can’t follow what they’re saying. Similarly, with reading, if you have to stop every two minutes to look up a word or grammar point, you’re going to get fed up very quickly. Research shows that a great way to learn a language is by reading and listening to things which are slightly above your current level, so you can get the overall meaning, but you meet some new words and phrases. Start with materials aimed at language learners like textbook conversations, simplified audiobooks and slow-read materials, then gradually increase the complexity as your level improves. For Chinese, I started listening to conversations in my assimil textbook, then moved onto the Chinese Breeze series and intermediate level videos on FluentU. I still struggle to understand things made for native speakers, but I know if I keep gradually increasing the difficulty of my listening materials, I’ll get there. Tons of people learn to speak a second language without ever studying grammar rules – maybe not perfectly, but enough to have good conversations with native speakers. No one has ever learned to speak a language by studying just grammar. I’ve got nothing against grammar per se (unless you’re memorising lists of irregular verbs in alphabetical order, then maybe I do) but the standard approach of learning grammar rules first and using the language later is flawed. That’s why most people leave school with no language skills. As soon as you’ve got a few basics down, start learning by doing: speaking, reading, listening and writing. Then learn bits of grammar as you go along. The phrase “like a native” pops up everywhere in the language learning industry. The result: we spend most of the time comparing ourselves to native speakers and feeling like poop every time we see the big gap. This is an insane way of looking at things, and here’s why: native speakers are surrounded by their language for an average of 16 hours a day. That means a 25-year-old native speaker has been exposed to his or her language for around 146000 hours. It’s estimated that language learners can get to an advanced level in around 1000 hours. Advanced learners can do amazing things in their second language like debating politics, working in specialist jobs and chatting to close friends without noticing a language barrier. But most still sound quite different to native speakers, and that’s OK. Instead of comparing yourself to natives, compare yourself to the level you were at when you started. When you stop focusing on the difference between yourself and native speakers, you can enjoy the ride more. You spend less time worrying about your shortcomings and more time feeling good about the progress you’ve made. Without a teacher, it’s difficult to know if you’re focusing on the right stuff. But here’s the thing: teachers don’t know what’s best for you. The only person who knows what you really need to study is you. Only you know what you talk about on a daily basis: your job, your family, your hobbies, the questions you like to ask people, whether you like using lots of slang and swear words, or whether you prefer to be a bit more formal. Think about what you normally talk about and the kinds of things you need/would like to say in your target language, and focus on learning that stuff. This way, you’ll learn words and phrases that will help you speak quicker, rather than wasting time learning “what’s in your suitcase” and other not-so-useful classroom topics. Ask native speakers. As you try to communicate, you’ll naturally start speaking about your life, so you’ll learn how to talk about things which are important to you. Listen to and read about subjects you like – photography, football, dance, politics – in your target language. You’ll naturally pick up some useful vocabulary that you can use to talk about your interests. One of the biggest challenges when learning a language at home is finding the time to fit it all in. To get more study time in, I use language learning apps on my phone to fill dead time, like waiting in line at the supermarket or if my train gets delayed. You’d be surprised how much it all adds up! My favourite is my flashcard app, which I use to review vocabulary. Another great app for these times is duolingo. You can do all the right things, but if you don’t do them consistently, you’ll never learn that language. That said, knowing that you have to be consistent and actually being consistent are two very different things! Though I’ve struggled with this a lot in the past (and still do today!) I’ve found a method that works pretty well for me. The “don’t break the chain” method involves deciding how long you want to study each day (make sure it’s realistic!) and putting a cross on the calendar for each day you achieve it. Once you get a streak of crosses, you’re more motivated to keep going because you don’t want to break that chain! We all have those days where we don’t feel like doing anything. I often can’t be bothered to study for days, sometimes weeks in a row. This is dangerous because if you stop completely, it’s really hard to get back into the habit. For these times, I have a few relaxing activities that may not be the most productive use of my time, but that keep me in my routine. For example, I know watching TV is not an ideal way to learn if the level is too high and I can’t make out what they’re saying (especially if I use English subtitles) but sometimes I do this during my study time so that I can have a rest and stay in the game at the same time. 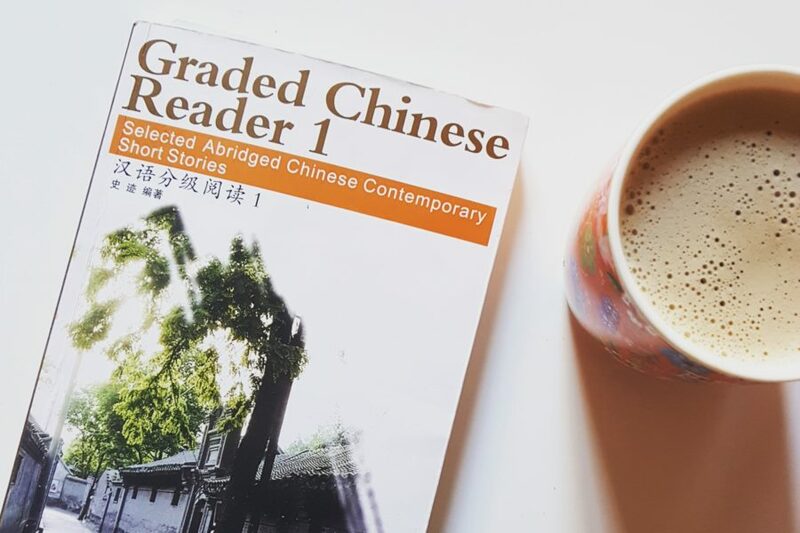 When I feel my motivation dipping, it’s often because I’m getting so bogged down with studying that I start to forget the reason I want to learn in the first place: to connect with Chinese people and their culture. When this happens, I spend a little time browsing articles or watching videos about China. This is enough to bring my motivation back and get me all excited about speaking Chinese again. Another tricky part of learning a language by yourself is staying motivated when you’ve got no one to answer to and share your struggles with. You make excuses to yourself and slack off one day… then the next day… then the next until you’ve completely forgotten about your language learning plans (together with that gym membership). The #Add1Challenge: The #Add1Challenge is a 3 month language challenge for people who are serious about learning a language from home. Everyone starts together on day 0, with the same goal of having a 15 minute conversation with a native speaker on day 90. I joined in December and made tons more progress than when I was studying alone. If you want quick results, this one’s for you. Clear the list: Studies show that writing your goals down, sharing them with others and giving updates is one of the best ways to get things done. Clear the List, run by Lindsay from Lindsay does languages and co. helps you do exactly that. Language bloggers come together once a month to share their language goals and report back on how they got on in the previous month. Since I joined this challenge, my language learning has become a lot more structured, and I’ve (digitally) met loads of fab, like-minded people to share my struggles and wins with. Are you learning a language from home? Which step do you think is most useful? Can you add any more tips that will help other readers who are studying from home?